If you’re living in the Southwest region of the country, your roofing material is an important decision. There are different types of roofing options, but it is ultimately your decision on which to invest in for your home. 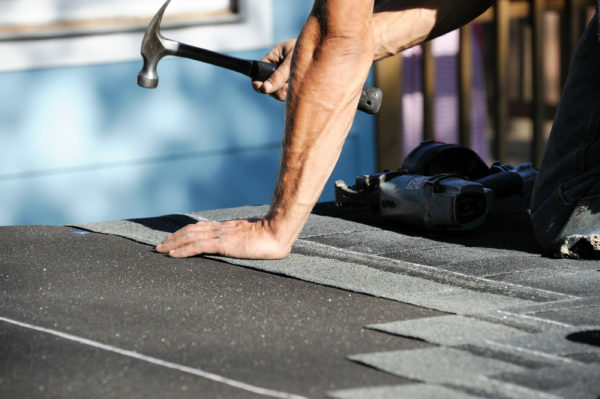 Two of the most common roofing materials used in the Southwest are asphalt shingles and tile roofing. Both offer benefits for your home. If you’re not totally sure what you’re looking for, here’s a breakdown of the two roofing styles to help you out. Comparing the cost of the two materials usually tops the list of priorities. Asphalt shingles cost much less than tile roofs up front. However, the lifetime of tile roofing is much longer than shingles tend to be. In the long run, the ultimate cost of shingles vs. tile roofing breaks even when taking this into consideration. Asphalt shingles roof tend to range from $2.75 to $7.50 per square foot installed. Comparatively, ceramic clay tile roofs range between $9.00 and $15.00 per square foot, installed. The durability of a roof, especially in the Southwest region, is a big factor in deciding which type of material is best. Tile roofs can easily be cracked if they are stepped on whereas asphalt tiles are typically fine to walk on. Because they are the more expensive choice of the two, this is something to take into consideration. Tile is not waterproof either. This means that an underlayment under the tile which will need to be replaced over time. In this case, it is recommended to use self-adhering underlayment, which sticks to the roof deck and prevents leaking. Tile is designed to be long-term where asphalt shingles tend to have little maintenance. Tile is often worth the investment because of the marketing value it adds to your home. However, asphalt comes in many different colors and shades, and tends to be work well for complex roof designs. Because tile is heavier than shingles, it is important to have a professional roofer make sure your home is sturdy enough for this material. Curious what your roof replacement cost may be? RoofCalc.com has a handy online calculator to estimate your costs based on the size and type of roof you are considering. But if you want the expect advice of experience a Las Cruces roofer, call Atlas Home Repair. We are happy to answer any questions you may have about different roofing materials and how what would work best on your home and within your budget. Give us a call at 575-533-0697 or contact us online to get started on your roofing project!